In recent years the Emoji has gradually started its proliferation across our text communication channels, social media, and recently, our dictionaries. Created in 1999 :) and progressing to a more textured version by Shigetaka Kurita who is the designer of the first emojis for cell phones. These text characters have become universally recognisable, crossing all borders and language barriers and are littered across internet pop-culture from Facebook to Snapchat. It's only natural that its very next step would be becoming a domain name, ok not really but for some, this is the case. Hosting companies like GoDaddy are pushing for its compliance and believe the emoji can hold its own in the domain name game. It makes sense for a hosting company to push a fad like emoji domains, selling users the ability to reserve and use the domain name which includes an emoji and .com will have domain names selling like hot cakes. Additional signs for more emoji adoption & support came in the form of Apple's newly released MacBook built an emoji keyboard into the Touch Bar of its new MacBook Pro. Google have also taken to emojis with AdWords, giving paid search marketers the ability to add emojis into their ad copy for search ads. This could be a sign for support from Apple & Google to make it easier for users to access emoji domains in future. The domain registrar GoDaddy released a new emoji service on Oct. 28 to register and search for emoji URLs while it is only limited to .ws and .la tld extensions at the moment due to legal constraints. Some early adopters have taken advantage of the service. Coke launched a South American advertising campaign at smile emoji.ws in 2015, and a Norwegian airline is promoting flights to Las Vegas at its website: a plane emoji with a money emoji.ws. Browser support is spotty, at least for now. Some browsers (or older versions of other browsers) still won’t recognize them. So even if you were to get an emoji domain name, there’s a strong chance a decent chunk of would-be visitors won’t be able to see it. Search engines algorithms may not be equipped to handle emoji domain match searches or related text searches, limiting your organic domain and URL indexing. Direct traffic will also be affected especially on a desktop as using emojis in address bars may seem like a hassle for some while for others it is not commonplace and easy to make a mistake. There are a number of technical and intellectual property barriers to clear before emoji URLs are available on any domain. 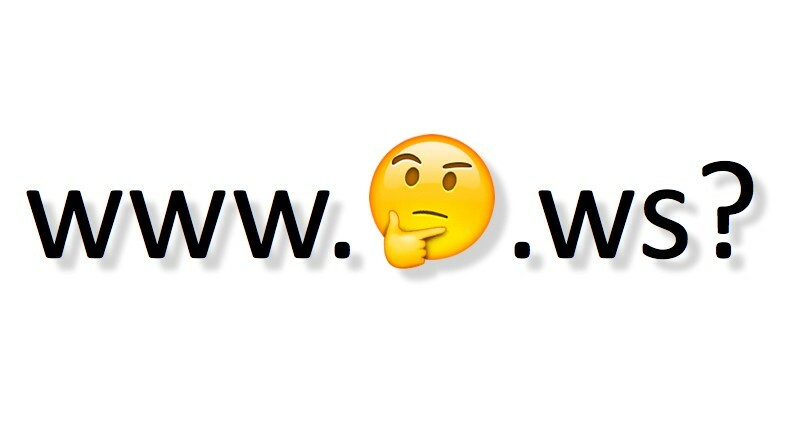 Now that you know the pros and cons, do you think you or your company would make use of Emoji domains or URLs? Let us know in the comments below.